WARNING! Takeout Makeover! Save money and the calories by making these fun tasty appetizers! My boyfriend made these for 4th of July! Easy to make, kid friendly, and a healthier alternative than buying at a Chinese restaurant! You buy all the ingredients for under 10 bucks! Just an FYI- you can find the won ton wrappers at any food store located in the frozen food international section! 2. Mix together crab, cream cheese, curry powder, ginger, Worcestershire Sauce and scallions. 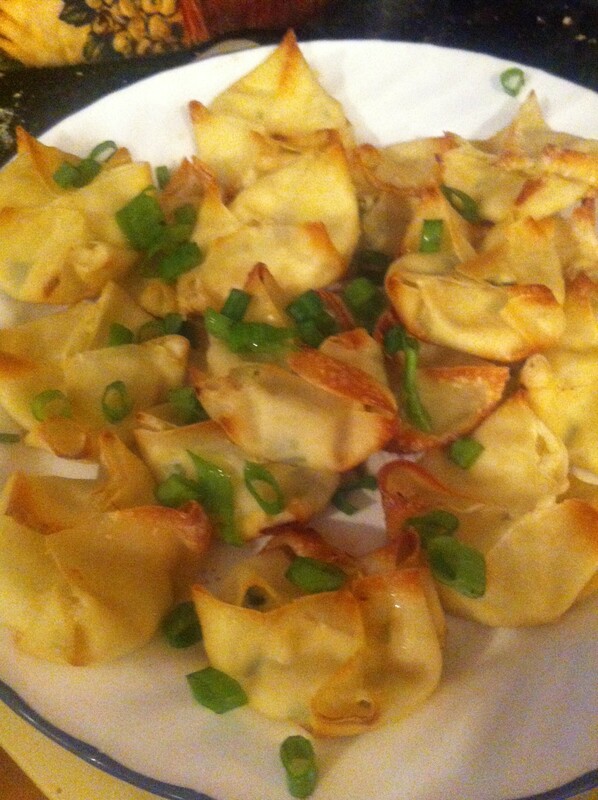 Then place dollops in won ton wrappers. 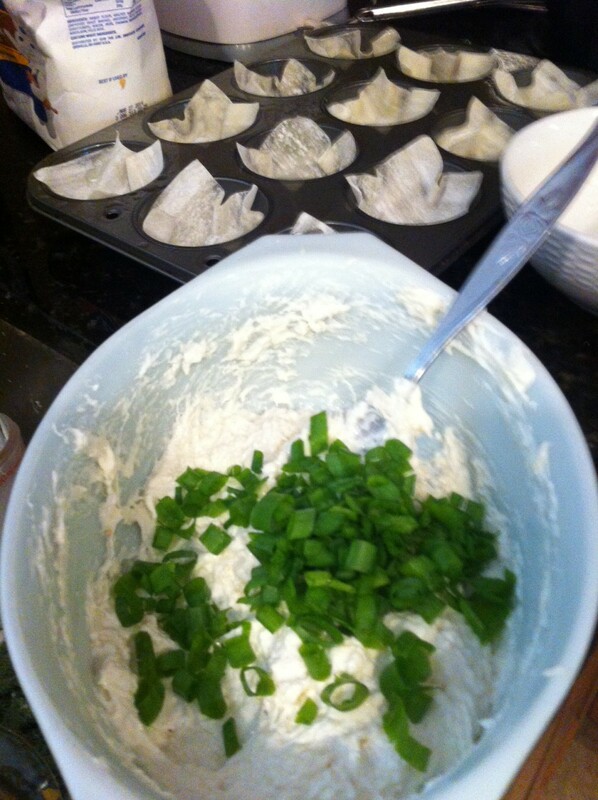 Fold over ends of the won ton wrappers over the mixture. 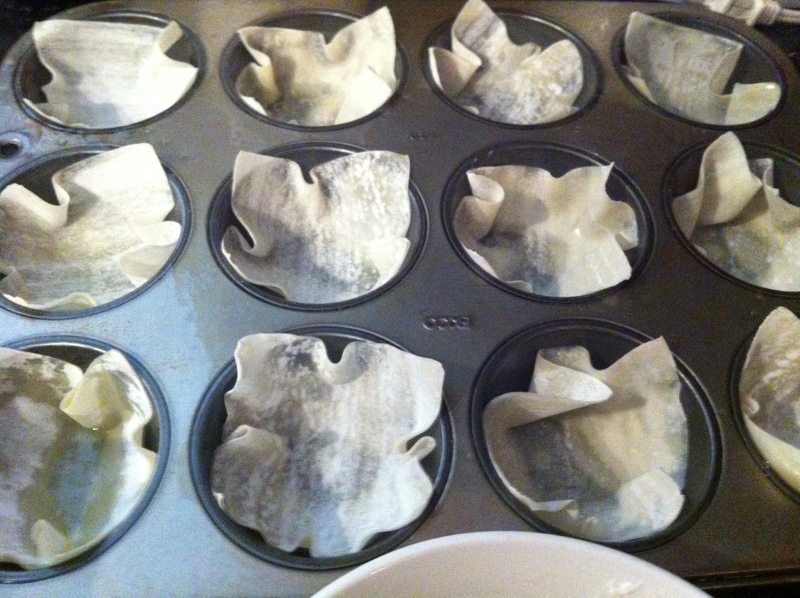 Bake ten minutes until won ton wrappers are lightly brown. 3. Serve hot with garnished scallions. Can dip in sweet and sour sauce or duck sauce if you want.